In more than 40 war-torn countries over the past two decades, Rick Barton has advanced peaceful, democratic change. Under his leadership, a series of innovative and values-centered organizations have produced rigorous analysis, new pools of funding and talent, and global coalitions. In his distinguished tenure at USAID, the United Nations, the Center for Strategic and International Studies and at Princeton’s Woodrow Wilson School, he has advanced civil society, human rights and effective solutions. 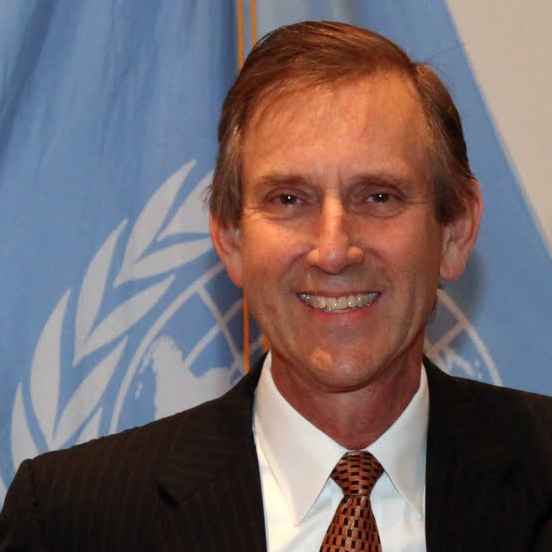 Among other roles, Rick was the first Assistant Secretary of State for Conflict and Stabilization Operations; he served as the U.S. Representative to the Economic and Social Council of the United Nations (ECOSOC), and he was Director of the United States Agency for International Development’s Office of Transition Initiatives. Rick is the Co-Director of Princeton University’s Scholars in the Nation’s Service Initiative (SINSI) and teaches at Woodrow Wilson School. In the summer of 2015, he joined the Boards of the Alliance for Peacebuilding and the Institute for Sustainable Communities, and he continues to advise private companies in the technology and data sectors. A graduate of Harvard College, he earned his MBA from Boston University. Rick received an honorary doctorate from Wheaton College of Massachusetts, the U.S. Department of State’s Distinguished Honor Award and the Foreign Affairs Award for Public Service, the World Affairs Council of Maine’s International Leadership Award, and Deerfield Academy’s Heritage Award.